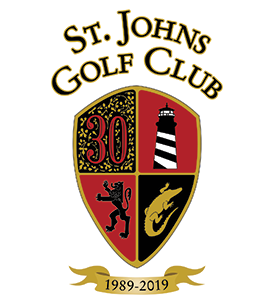 St. Johns Golf Club has the largest all grass public driving range in the St. Augustine / St. Johns County area. With a hitting area large enough to accommodate plenty of players and targets ranging from 50 yards to 250 yards there are ample ways to improve your game. For the big hitters out there, the total range depth is greater than 325 yards, so there is space to grip it and rip it. Range balls are for the day of purchase only and may not be taken off site.